THE LATEST "IT" VITAMIN AROUND TOWN A.K.A THE SUNSHINE VITAMIN. OneNine57 is the exclusive distributor of Vitamin D3. The sunshine vitamin lowers the risk of various cancers, and Vitamin D deficiency related diseases. D3® - Vitamin is the first supplement available in Singapore that contains 25 μg (1000 IU) per tablet. It is sold in major hospitals, specialist clinics and GPs across the country. 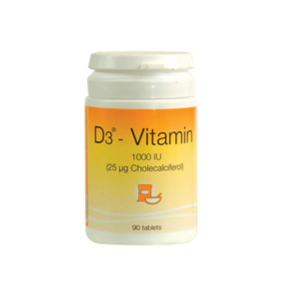 D3® - Vitamin is produced by D3Pharmacy Denmark according to GMP standards.